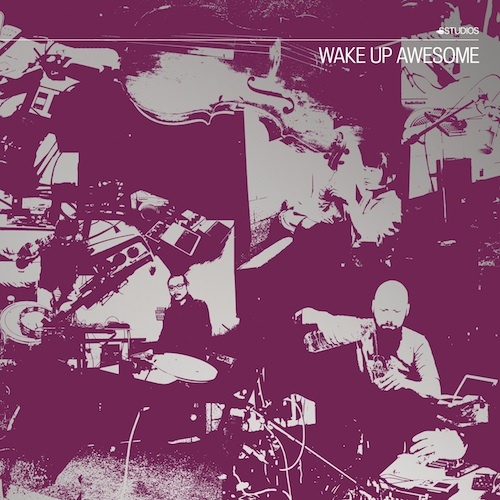 Wake Up Awesome, by C. Spencer Yeh (Burning Star Core), Okkyung Lee, and Lasse Marhaug (Jazzkamer), is the second chapter of SSTUDIOS (Software Studios Series). SSTUDIOS is a new venture in the Software Recording Co.‘s expanding catalog that invites artists in the field of electronic music to create collaborative works of quality and vision. Inspired by the historical intersections of live performance and studio post-production, Wake Up Awesome is a modern kind of fusion in technique as well as genre. At its core are three artists highly experienced with both instant and labored composition. Together, they found the studio generated improvisations were iteratively developed by each on their own. Passages of real-time improvisation duck and swerve into electro-concrete tangles of samples, edits and juxtaposition – all you’d want out of a world of mechanical possibility. If it sounds intentional on the record, it was. If Yeh and Marhaug’s more electronic affinities in their respective practices place them as the “producers,” then Lee’s cello often leads the drive as a sort of soloist. The resulting conversation is genuinely both serious and iconoclastic. All three artists have a history of dialogue, but this is the first time they’ve hung out for the record — we’re very happy that they did.